With promos and prizes sweeter than a Mandarin orange! Hearing Chinese New Year (CNY) songs wherever you go? Yeap, it’s that time of the year again! If you’re sick of listening to the same tunes in malls, then why not just shop online from the comfort of your own home? And we know just the perfect place. This year, Shopee announced a big CNY sale that nobody should really miss. Starting from today until February 6, there will be big sales from household-favourite merchants such as Watson , Samsung , Senheng and Maybelline . What’s more, Shopee is hosting a slew of activities with prizes to give away such as Shopee coins and cash vouchers. Some of these activities also include the likes of a Nintendo Switch, JBL speakers and a Dyson hair dryer, all up for grabs! Everyone loves a giveaway, right? Especially if it calls for more than 1 winner! For this giveaway, try your luck and win prizes such as a JBL Reflect Contour In-Ear Headphones, a Home Theater LCD Cinema Mini Projector, an Oppo A57, and a Dyson Hair Dryer. Rules are fairly simple; just click “Interested” on this event page , and invite more friends to join in on the fun. The more people that are interested in the event, the closer everyone is to unlocking the next prize. And that’s it! Event ends on 6 Feb, 11.59pm, so don’t dawdle. Need some cash? Shopee is giving away eight RM 88 Ang Paos every week until January 24th in exchange for a creative photo of you! Not convinced? They’re also giving away a Nintendo Switch once those Ang Paos are gone. All you have to do is take a photo or a video of yourself with a Shopee CNY-themed GIF from the Instagram Story feature (+1 submission if you keep it as a story). Then, save and upload that photo/video as an Instagram Post. 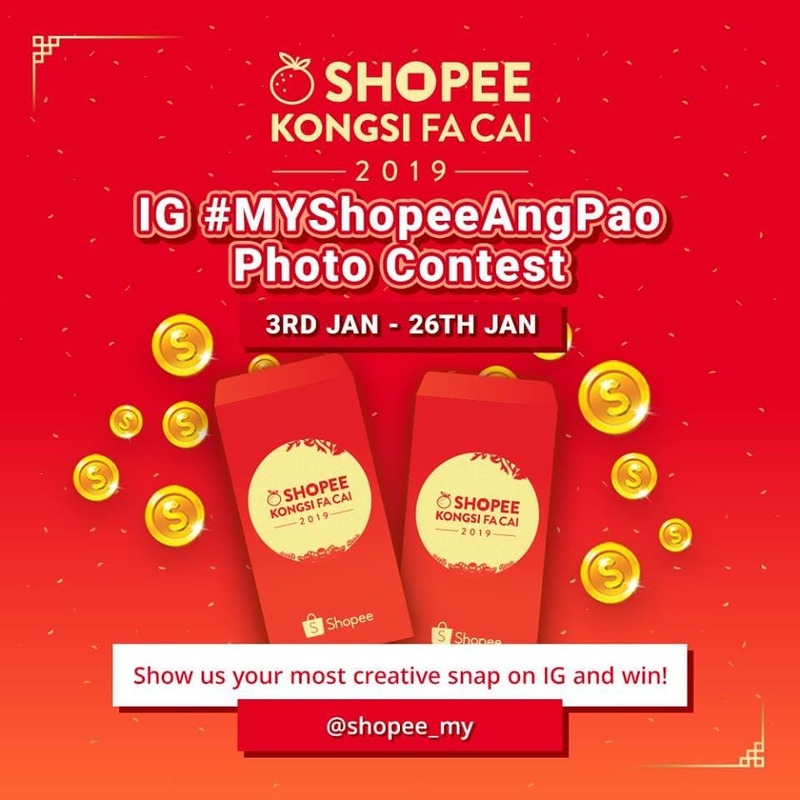 Make sure your caption includes: “ Shopee Kongsi Fa Cai! #MYShopeeAngPao #ShopeeMYCNY”. Be sure to follow Shopee on Instagram and have your account opened as "Public" in order for Shopee to check out your submission. Easily be a winner just by sharing! You have until February 6 to share this music video and be one of the lucky winners to win up to 238,000 Shopee coins. That’s all! The more shares there are, the closer everyone is to win big bucks! Just remember to set your post to "Public" for easy verification. 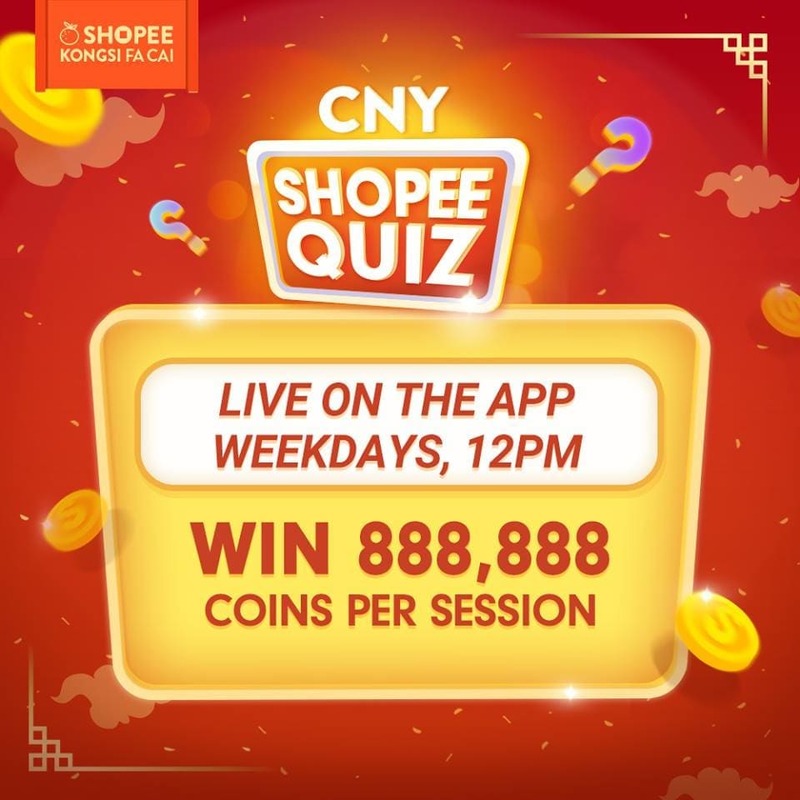 Shopping does not end after checkout; test your wits and win some coins when you join Shopee’s inaugural CNY Live Quiz, accessible via Shopee app. The timed quiz will display a couple of trivia questions from a wide range of topics. If you managed to answer all of them correctly, you get to win from a pool of 888,888 Shopee coins, RM1,000 weekly cash prizes and many more. The live quiz is held on weekdays at 12 pm from January 14th to 31st, where there will be two special sessions from January 22nd to 24th at 12 pm and 8 pm. If a live quiz is not your thing, then do it the original way by calling your friends to win some prizes together! 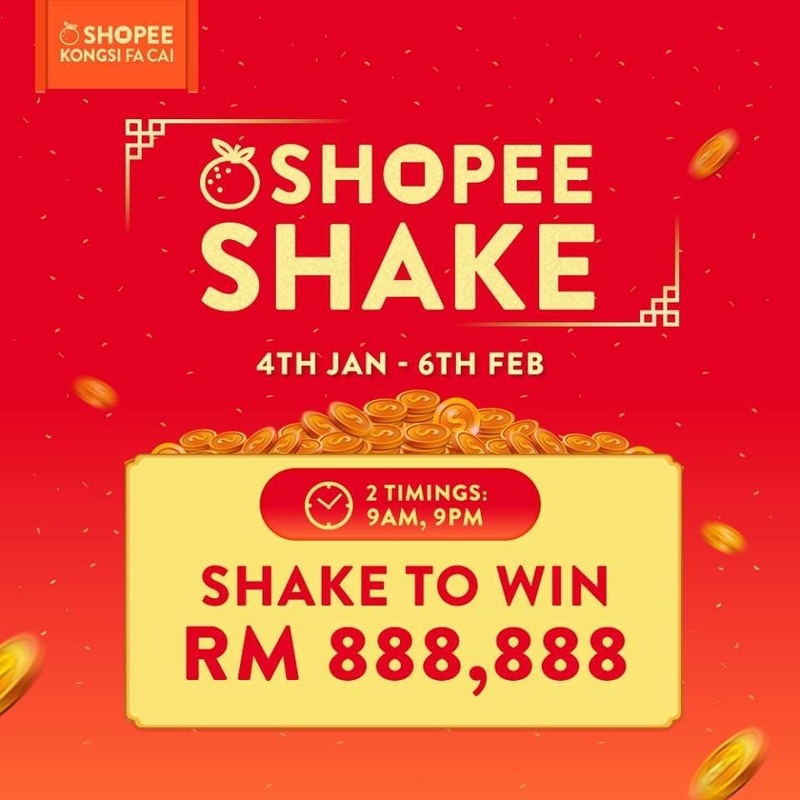 This time around, you can shake the Prosperity Tree several times a day with all your might to win Shopee coins, lucrative prizes and awesome vouchers that are worth a total of RM 888,888. The harder you shake, the easier fortune falls onto you. Throughout the campaign, users can watch out for big sales from time to time. 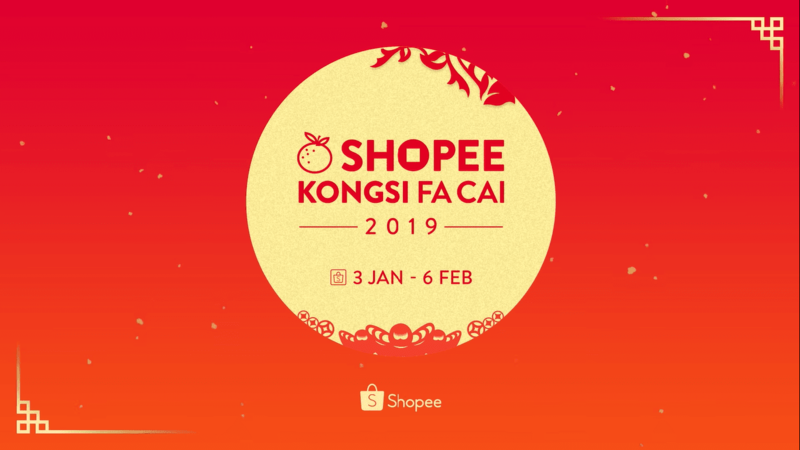 If you can, visit Shopee on January 15th and 22nd to catch deals from as low as RM 0.88, and discounts as high as 88%. During these days, 8 different sales from all kinds of categories will be joining in to “flash” you some irresistible deals. 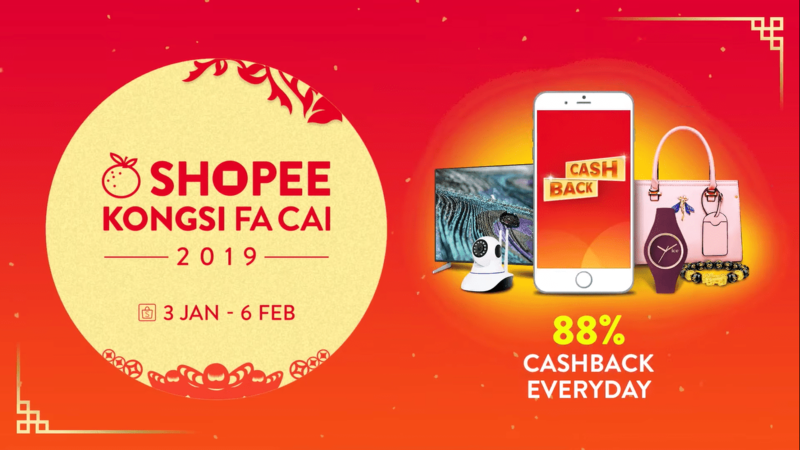 Not a joke - Shopee is offering up to 88% cashback daily (capped at RM 5.88) for all shoppers. Just remember to go online and collect the cashback vouchers as they will be given out at 3 pm every day. Keep your eyes open wide when you go on Shopee! 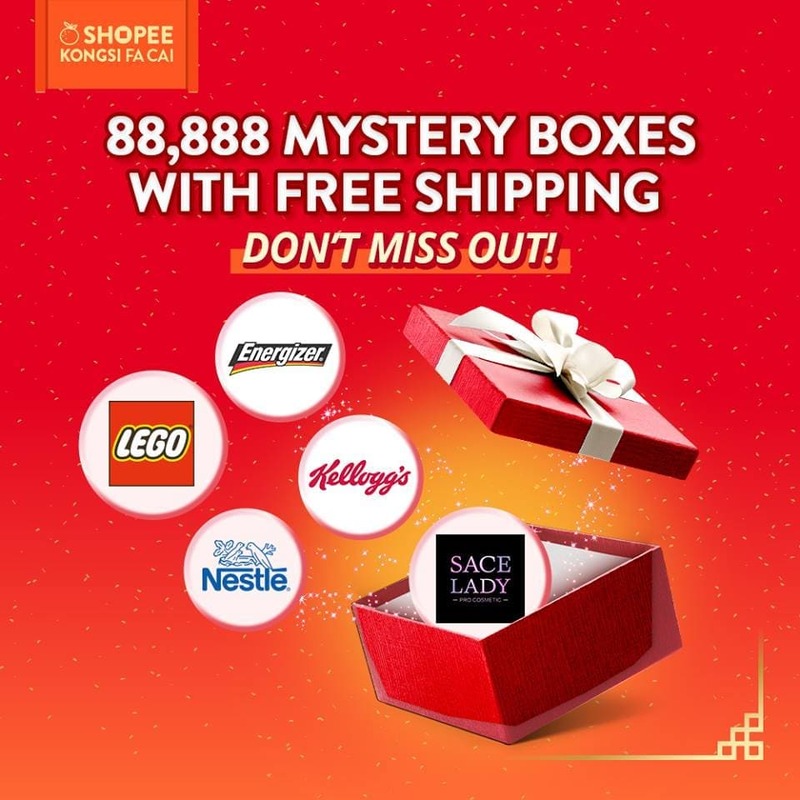 Throughout the campaign, there will be 88,888 mystery boxes from different brands across Shopee. These boxes are filled with a couple of products and will retail at half the price. BONUS: New brands in the house! 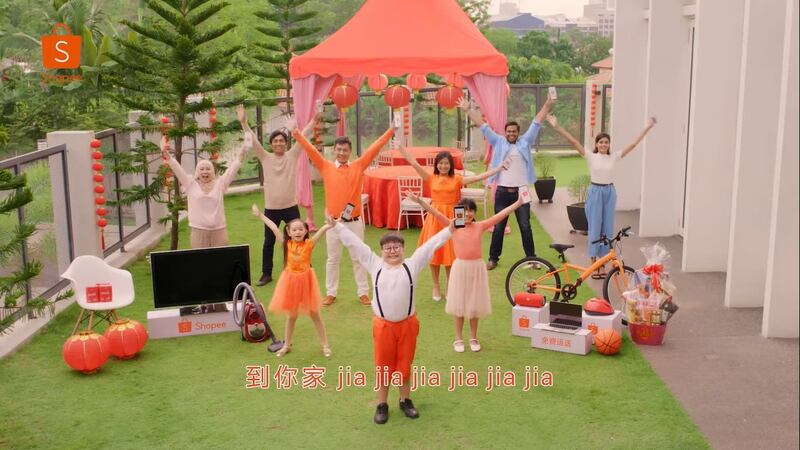 In conjunction with Shopee’s CNY campaign, seven brands have just recently launched their stores online at Shopee. These brands are MSI , Logitech , Etude House , Crocs , ELLE , Anmum and World of Sports. So, make sure to do a quick search for your favourite brands before you start shopping!